We are deeply honored to recognize Brother Thomas Tatum of Akron, Ohio, as he was chosen to receive the Franklin Delano Roosevelt Community Leadership Award for the 16th Annual Signature Chefs Auction, October 30th at The Piazza at La Pizzaria. Since October 1989, Bro. Tatum has worked diligently for the City of Akron. He was appointed to the position of Housing Rehabilitation Administrator for the Department of Planning and Urban Development. Previously, he worked as a Senior City Planner with several neighborhood-planning initiatives including the revitalization of neighborhoods throughout the City. He has been the le ad planner for Neighborhood Business Districts, the City of Akron, Ohio Analysis of Impediments to Fair Housing and he was responsible for the 5-year Consolidated Strategy and Annual Action Plans. Bro. Tatum was appointed by Mayor Donald L. Plusquellic to serve on the Summit County Abandoned & Vacant Property Task Force. In addition, Bro. Tatum serves on the boards for the Akron Urban Minority Alcohol Drug & Outreach Program (AUMADAOP) (Vice Chairman); Alpha Phi Alpha Homes, Inc.; and the National Alumni Board for the University of Akron. He currently serves as the Chairman of the Board for the Northeast Ohio Four County Regional Planning Organization (NEFCO). Bro. Tatum volunteers for several community organizations including Event Chairman for the 2008-12 Akron Area March of Dimes March for Babies. 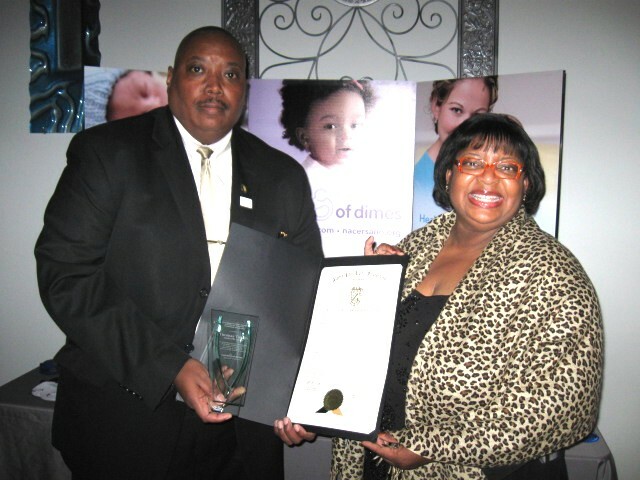 He is a two-time recipient of the President’s Award (2010 & 2011) for the March of Dimes. He has received local recognition, having been presented the 2009 University of Akron Greek Alumni Service Award and the 2009 Harold K. Stubbs Humanitarian Award for Service in Government. A member of the Leadership Akron Class of 2000, Bro. Tatum is an active public speaker on the subjects of leadership, community and economic development, and community empowerment through research, education and courage. Bro. Tatum’s most important roles are husband to Milistine and father to Lauren and Thomas II.